Alongside travelling about to photo shoot adventures I’ve also been doing some conservation work for an issue that is close to my heart. When I was a child, we went a family cycle in the school summer holidays. 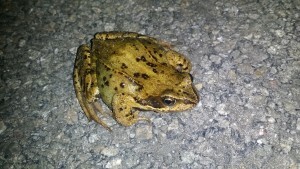 We went down a country path, and I was horrified to see hundreds of dead toads and frogs littering the path. It is something that horrified me, all these innocent creatures dying under the wheels of cars for no reason. Periodically, through out my life, I thought about these poor creatures. 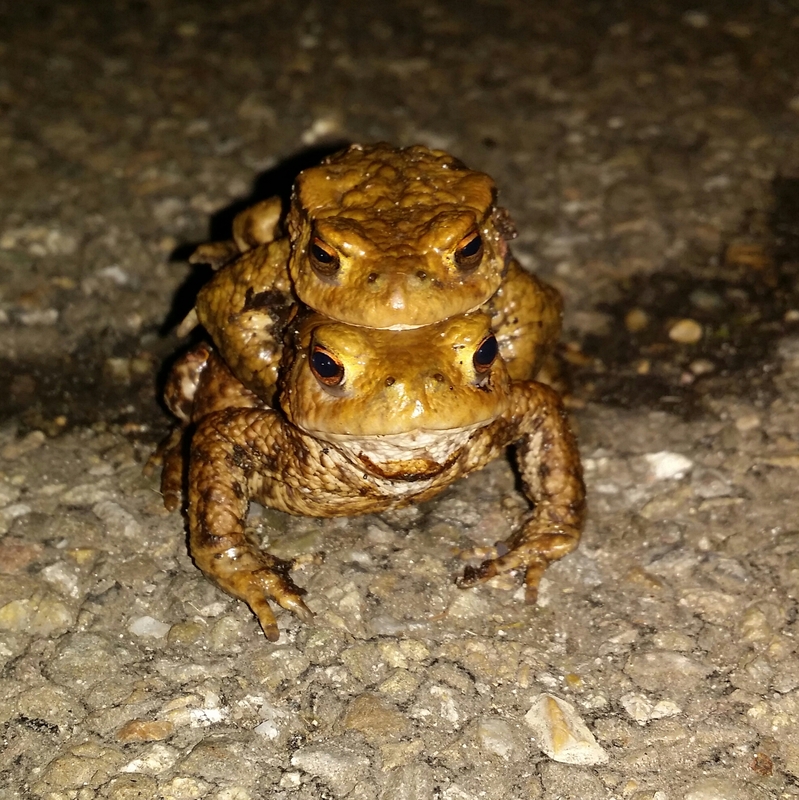 A few months ago I came across a campaign asking for volunteers to help collect migrating toads and frogs and carry them across the road to safety and I signed up immediately. 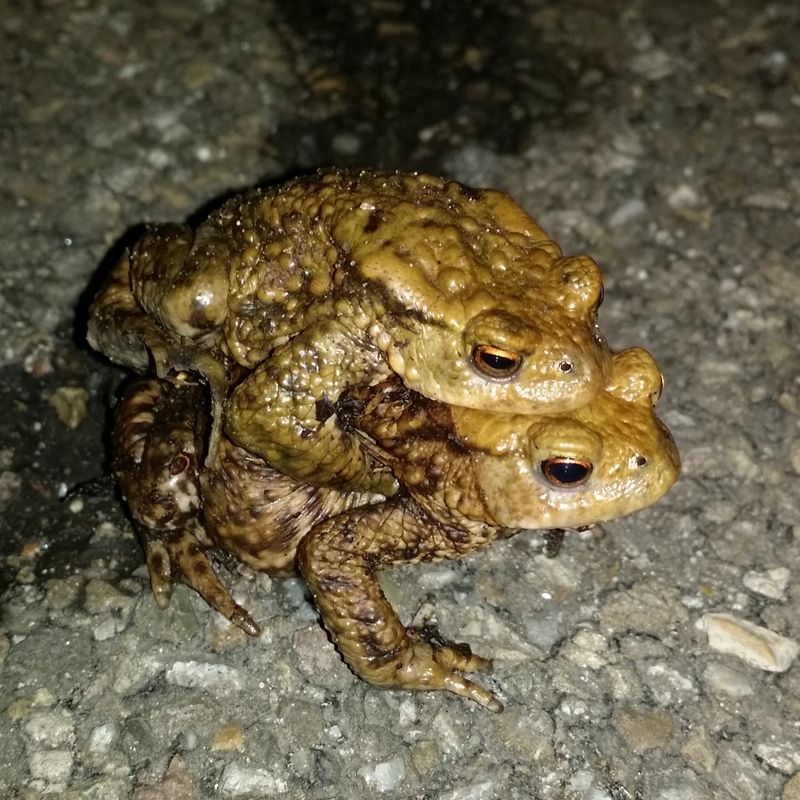 So a few evenings per week, I’ve been donning a high vis vest, equipping myself with a torch and bucket, and patrolling roads which cross important amphibian migratory routes. 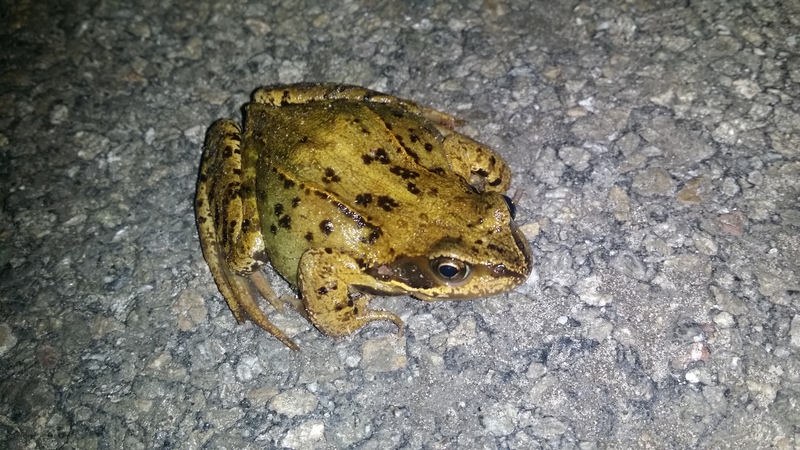 These tend to be roads which cross over water supplies, and its not just toads that fall victim to car wheels at this time of year but also frogs and salamanders. And the animals which feast on their carcases such as owls and foxes are also saved since they can also fall victim. Ive found hundreds of these warty beings, and hopefully brought them to a better place to do their mating business in safety. Actually, they are not so warty at all, once you get up close and personal, they are rather sweet. 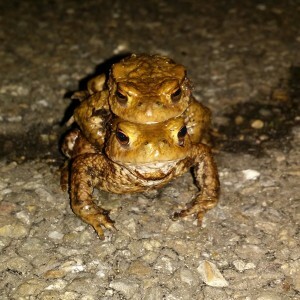 The men are quite frisky and periodically try to attach themselves to my hand when I pick them up, the females steadfast and laborious as they travel many kilometers to breed, often with a lazy amerous males attached to their back with special fingers that they grow for this purpose and the frogs take massive leaps and you must be quick to catch them. 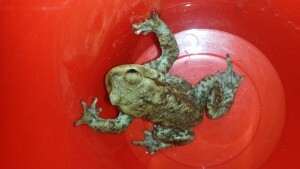 and of course the best thing about toads….. they eat mosquitoes…. my mortal enemy! So, these creatures will be out migrating for about one more week, since the weather is now perfect for them in northern Europe. If you do happen to live in areas with migrating toads and frogs, please try to drive slowly, since animals up to 2m from your car wheels are sucked into your under body when you drive quickly. Slow driving really does make a difference. And if you can, try to avoid these roads completely. And for those more interested in pretty photos that croaking toads, I’ve had another lurvlie editorial released, this time in Bambi Mag. They used completely 100% unedited images of me, which was rather flattering also. Lingerie: Karolina Laskowska and Kiss me deadly.